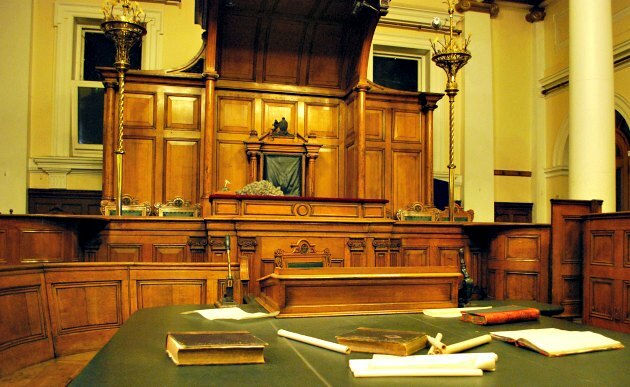 The new National Justice Museum (Formerly the Galleries of Justice Museum) in Nottingham tells the story of crime and punishment over the years with historic artefacts and museum exhibits. The most impressive ‘exhibit’ though is the building the museum is based in which up until the 1990s was a working courtroom. It has an impressive history though as the first written record of the site being used as a court of law dates back to the 1300s. 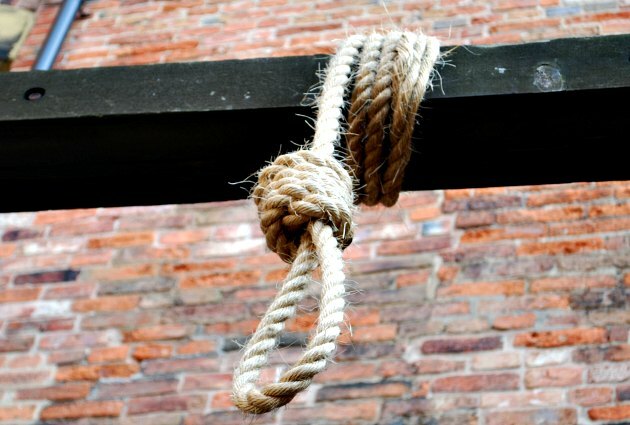 Hangings even took place in the rear courtyard! 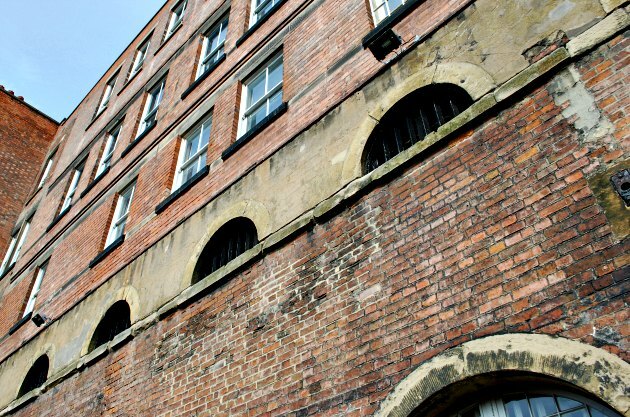 More recently it acted as Nottingham’s county gaol. All this means that many of the fascinating features of the building still exist. We enjoyed seeing the former courtroom, the old cells, and even the caves at the very bottom of the building. The whole place is deceptive as you enter at what appears to be ground level in the Lace Market, but there are many levels below this which are not obvious from the main entrance. Take a look at the picture below taken in the rear courtyard. This is about half way down the building. The museum now houses what’s said to be the UK’s largest collection relating to law, justice, crime and punishment. 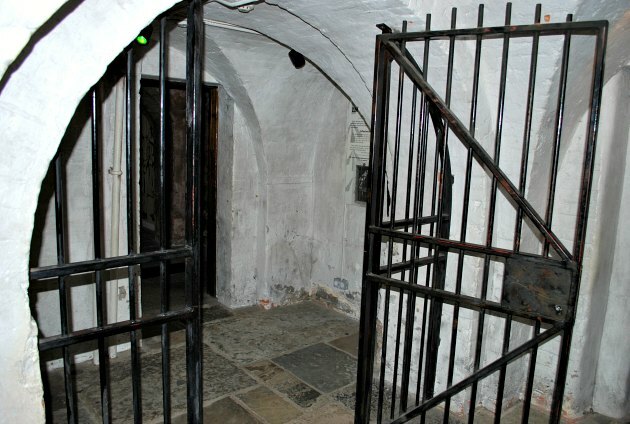 You can visit the new Crime Gallery area for free. 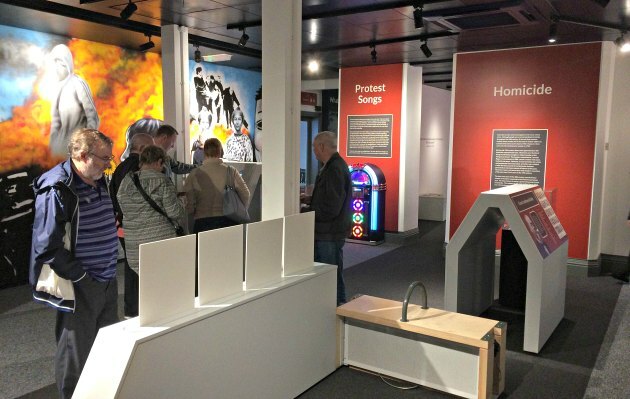 This starts with a short introductory film and then you’ll find information and exhibits including a jukebox that plays protest songs and a number of interactive presentations. To see the rest of the museum, visitors now pay one admission fee and along your way though the building, you get to meet a number of characters from history. These include Elizabeth Fry who was a 19th century prison reformer so famous she ended up on our £5 notes, Dr Massey who was the medical officer at Nottingham Gaol in the 1860’s and notorious convict Valentine Marshall. There are also dramatic performances in the new ‘Theatre of Law’ and a range of exhibitions, activities and games for children. The National Justice Museum is open daily from 10am to 5.30pm. Adult admission with full access is £10.95 (2017 prices). You can also buy combined ticket for both the Justice Museum and its sister attraction, the City Of Caves which explores the underground network of caves below Nottingham. The National Justice Museum is in Nottingham’s historic Lace Market on High Pavement, opposite the Lace Market Hotel.